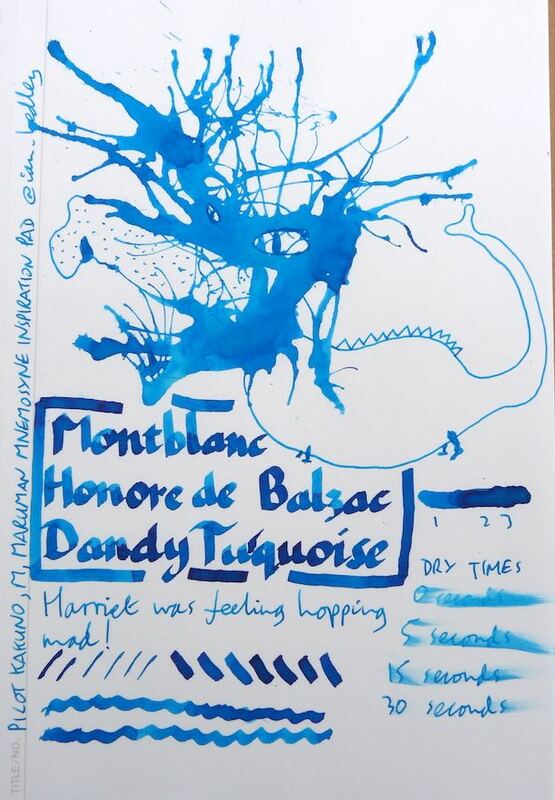 Montblanc Honore de Balzac Dandy Turquoise Ink Review – Pens! Paper! Pencils! This is a limited edition ink that’s, sadly, no longer available. It’s a beautiful turquoise shade. 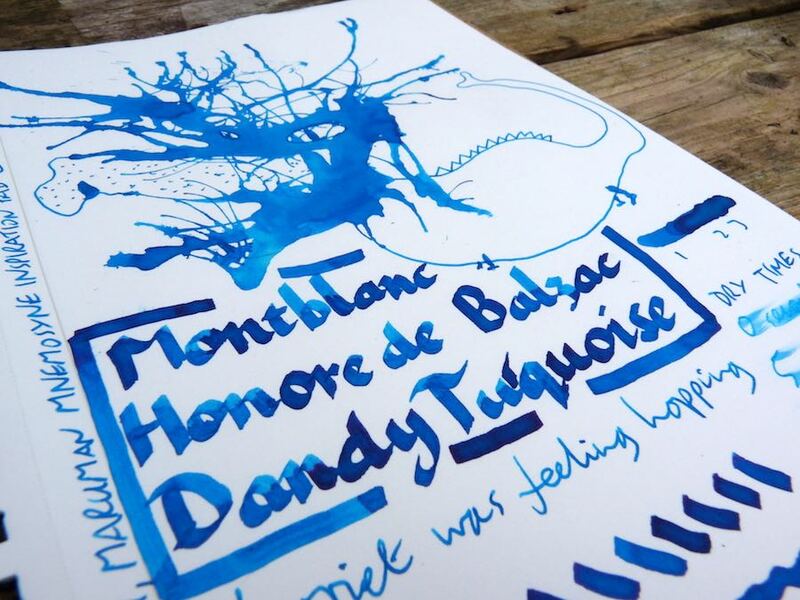 If you like turquoise inks and come across a bottle, do snap it up. Thank you to Chris Stafford for sending me this sample.